In November 2013, the U.S. 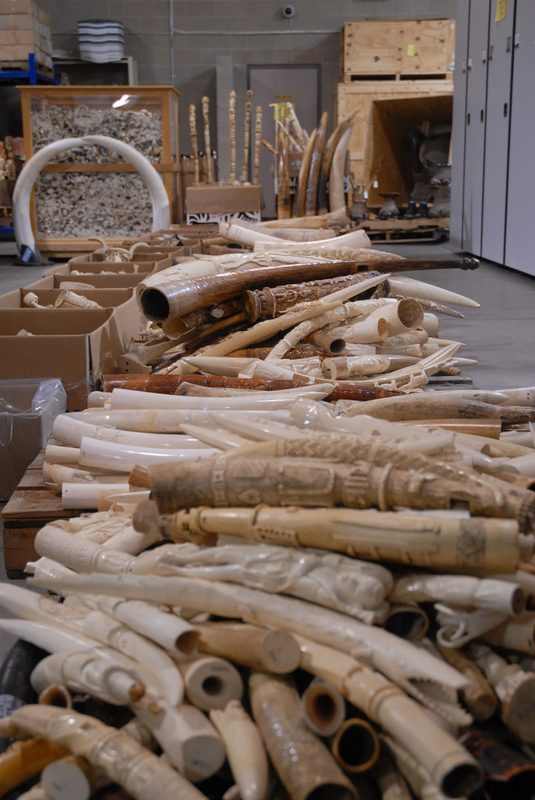 Fish and Wildlife Service destroyed some six tons of seized elephant ivory, sending a strong message to traders of the illegal tusks. With fewer than 3500 wild tigers in Asia, 50,000 elephants slaughtered every year, a rhino poaching increase of more than 7000 percent since 2007 in South Africa … wildlife crime stats don't make for happy reading. But thankfully, the Environmental Investigation Agency (EIA) are determined to do something about it. In the build-up to UK Prime Minister David Cameron’s landmark Conference on Illegal Wildlife Trade, the London-based organisation have released a report that offers a glimmer of hope. Entitled 'In Cold Blood – Combating organised wildlife crime', the report uses wildlife crime case studies to outline the key actions essential to tackle the international organised criminal networks responsible for decimating much of the world's wild animal populations. EIA Lead Campaigner Debbie Banks urged: “This is a critical watershed. There have been lots of promises in the past but not enough investment where it’s needed. It’s time for governments to walk the walk, not just talk the talk about enforcement against organised wildlife crime." So what's all the fuss about? Is wildlife crime really that big a deal? The short answer is a definite 'yes'. The illegal wildlife trade industry is worth billions of dollars and involves organised criminal syndicates, corruption of the highest order and in some cases it can fuel other forms of serious crime. Wildlife crime ranks amongst the top five largest illegal activities in the world, after drug trafficking and counterfeiting. Sadly, law enforcement is often lacking, with criminals regularly dodging jail time and evading any serious prosecution. The London conference, at which Prince Charles is due to speak, is aimed at reducing demand for illegal wildlife products, strengthening law enforcement, and supporting the development of sustainable livelihoods for communities involved in the trade (here's an intro video from the Prince of Wales and the Duke of Cambridge to mark the start of the conference). Who are the EIA? The organisation are kind of like the FBI of environmental crime. For three decades, they have been documenting and analysing environmental crimes and abuses in the hopes of convincing governments to put laws and policies in place that protect species threatened by wildlife crime. They do a lot of undercover work, weeding out the worst of the world's wildlife criminals. You can find the full report on the EIA website. In a new report, the Environmental Investigation Agency (EIA) reveals that a shocking 93 percent of logging in Mozambique during 2013 was illegal.